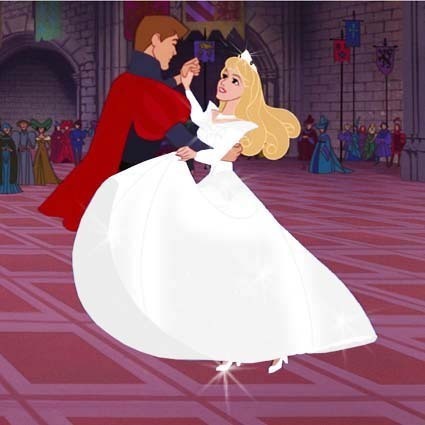 Didn’t we all want to see Sleeping Beauty’s wedding dress? I did. Last week, I traversed the plains of Illinois and arrived at the threshold (or “Gateway”) of the west in my fair hometown of St. Louis to shop for a wedding dress. Due to some circumstances not under my control, I was not able to choose to have my wedding in St. Louis, so the next best thing was being able to dress shop there in order to have my little piece of the Lou with me on my special day. I wasn’t sure how indecisive I was going to be throughout this process. I had given myself only one long weekend in the middle of one of the coldest winters in twenty years to find my dress. I had done some research with magazines, of course, and Pinterest, and The Knot, and speaking with friends who are also planning weddings. But I hadn’t gone anywhere in person yet and had no idea if I was going to have a Say Yes to the Dress bridezilla meltdown or whether it would be whimsical and practically effortless. Let me just put this out there right now: the women who go on TV shows to try on bridal gowns are brave! As giddy as I was to go to a few shops and try on dresses, I would have felt twenty times more anxious if I knew my experience were being filmed and eventually televised. Props to you, Regular Ladies of America who appear on TLC. I had lined up three appointments for the long weekend and given myself enough time to go to a shop on impulse, should the need arise if I wasn’t finding anything. Prior to my second day of shopping, I was given some solid advice by the daughter of a close family friend. She told me to try on serious contenders twice. I kept that little nugget stored away until the time came for me to make a decision. It came in handy, since I ended up loving my dress but came back later to try it on a second time before going forward with my purchase. Customer service at bridal boutiques is key and will make or break the shopping experience. While there are plenty of do-it-yourself places out there (and are more budget friendly, certainly), if you are able to afford going to a place with reputable customer service, I highly recommend doing so. I gave both shops I tried positive reviews on Yelp, even though I only ended up buying from one place. Bring or wear a bra that will look good in low cut and/or strapless gowns. Even if a gown has sleeves, it’s probably going to be sheer up top, and bra straps can take away some of the illusion you’re trying to create. Unless it’s summertime and unbearably hot, pantyhose isn’t a bad idea. It helps slide you into dresses more easily. This was one thing I wish I had done, though I was shopping in the middle of winter, so it wasn’t a nightmare. Dresses get HOT once you put them on. The sheer tonnage of material and being under hot lights gets you warm really quickly. To prepare, use a little of this ingenious powder gel on yourself. For those who aren’t aware, that powder gel also contains the same active ingredient as the fancy foundation primer out there, so you can use it on your face if ya want! Dresses you don’t like hanging up might look stunning on, so keep an open mind. Such was the case with the one I eventually chose. I saw it hanging up and pooh-poohed it. Then I got it on and was in awe. If you’re absolutely unsure if you like a dress after you’ve been wearing it a while, you probably don’t. And pay attention to details that bother you, e.g. a corset back vs. a zipper vs. buttons. They can be surprising dealbreakers. Accessories can make all the difference in the world. Be prepared to have your consultant see a lot of you (definitely shave and get yourself all tidy). If she’s doing her job well, you will feel relatively comfortable throughout, despite someone you never met getting all up in your business. Take lots of pictures from different angles in case you can’t decide right away. Thank goodness for cell phone cameras. Sit down in the gown before you say yes to the dress! This was one of the key things one of my relatives made me do before going forward with my purchase. She wanted to be sure I would feel comfortable sitting and moving around in it. After all, I’m going to be in this thing for twelve hours or so. Sitting proved to be fine, though I won’t be able to slouch at all. I’ll have lovely posture on the big day. Pace yourself and have fun! Realizing how fun–and to some extent comfortable–it was to wear the gown made me laugh. I don’t wear fancy stuff on a regular basis, so I felt like the gals on Friends when they wore the wedding gowns because it made them feel good. I totally get it now! It’s hard to go back to jeans and sweaters once you’ve had a wedding dress on. And aren’t they totally rocking sitting down in those gowns?